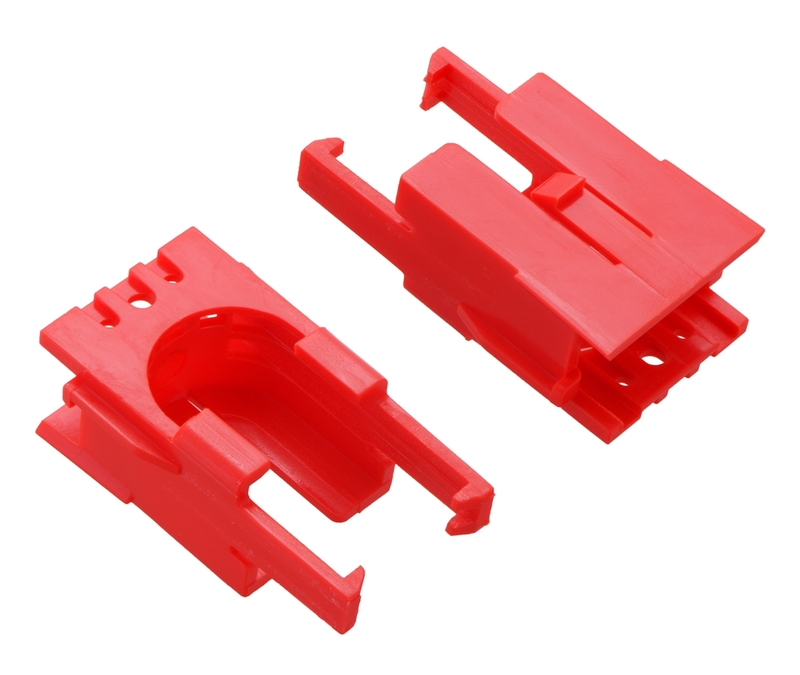 This item is a pair of motor-holding clips for the Romi chassis in red. These clips snap into the main Romi base plate, and then the motors snap into the clips. It is included as part of the red Romi Chassis Kit.